318 pages | 19 B/W Illus. Leonardo Burlamaqui is Professor of Economics at the Department of Economic Evolution, State University of Rio de Janeiro, Research Scholar at the Levy Institute – Bard College (New York), and Adjunct Professor at Graduate Program in Public Policies and Development Strategies at the Federal University at Rio de Janeiro. 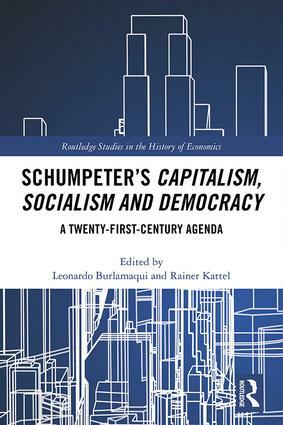 He is also a member of the International Joseph Schumpeter Society. Rainer Kattel is Professor of Innovation and Public Governance UCL Institute for Innovation and Public Purpose, UK, and Research Professor at Ragnar Nurkse School of Innovation and Governance, Tallinn University of Technology, Estonia.